Main Street Dental consists of dedicated individuals who are kind, friendly, and caring. Their staff is committed to going out of their way to deliver the level of dental care and compassion they would want for their own families in the Gresham, Sandy, Damascus, Happy Valley and surrounding areas. 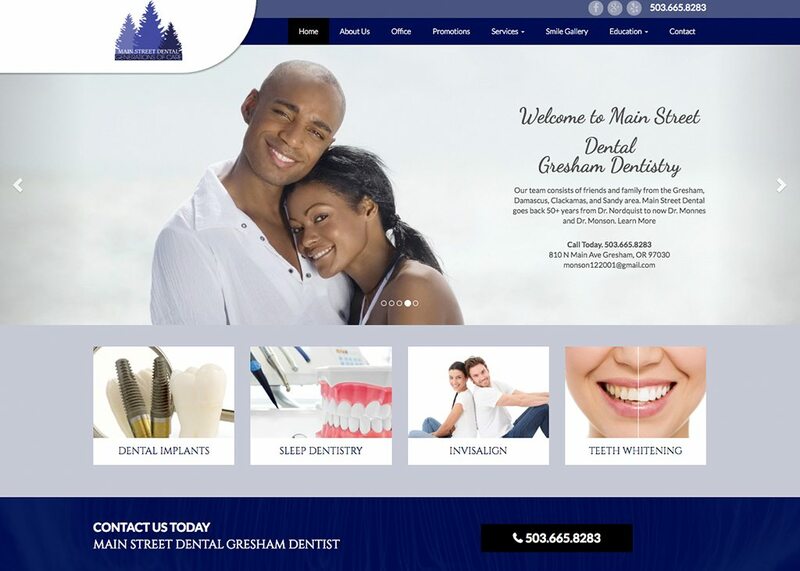 The doctors at Main Street Dental envisioned a friendly and welcoming dental website. Using light colors, the website presents a calm and inviting setting for visitors to their site. The darker blues help to draw focus to important information such as the navigation bar and contact information.